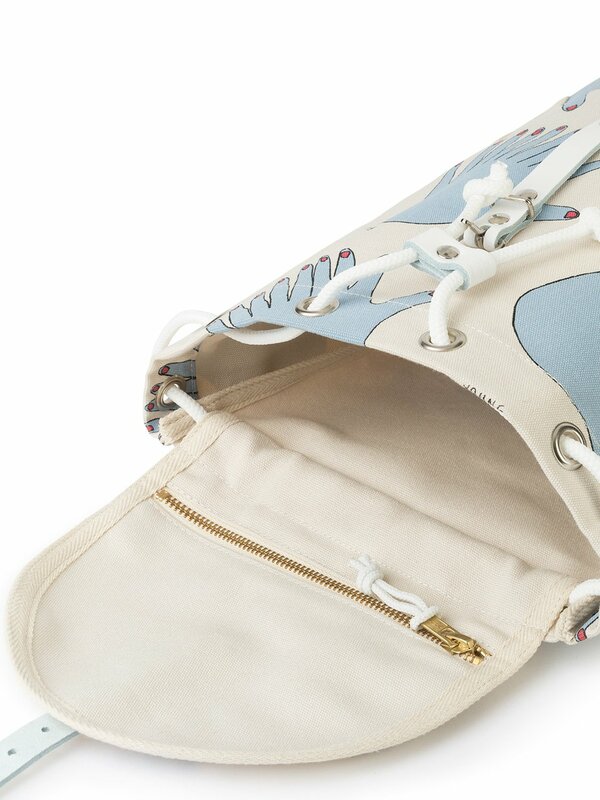 We present our exclusive TEN YEARS YOUNG mini sailor backpack. 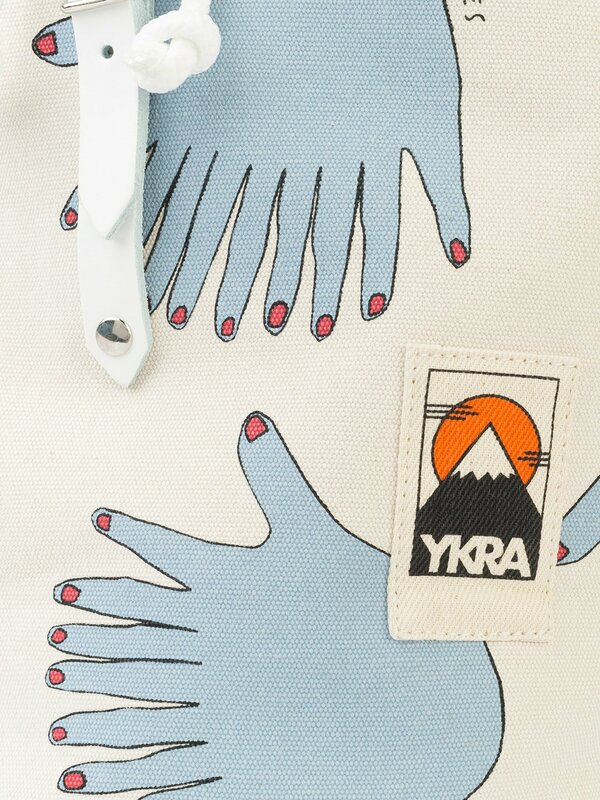 It was made in collaboration with our friends from YKRA in order to celebrate Bobo Choses’ 10th anniversary. 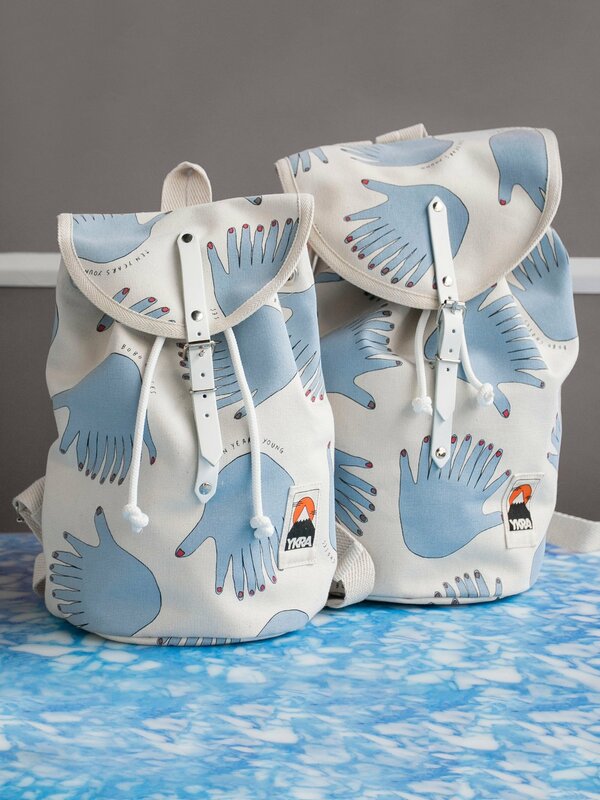 This children’s cotton canvas backpack was designed to match and accompany the Sailor pack model. 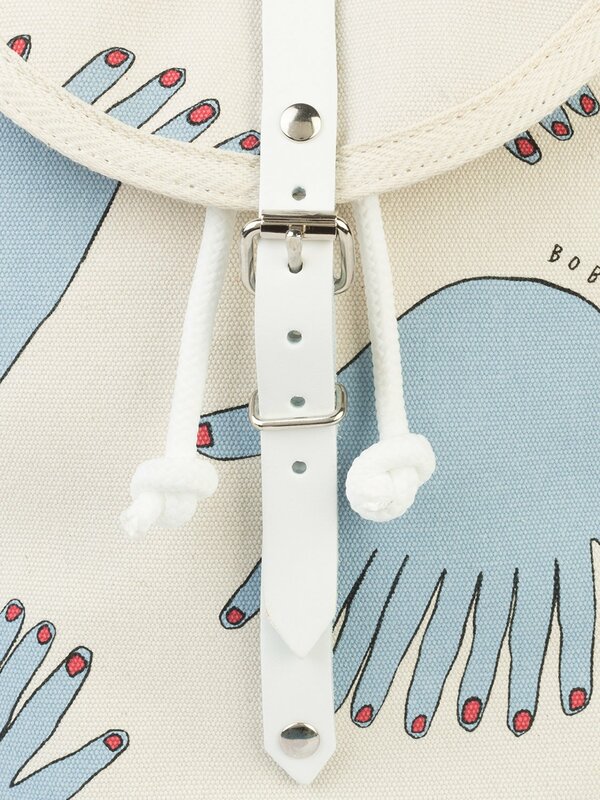 It has adjustable cotton straps (max. length 85 cm) and inner zipper pocket on top flap. 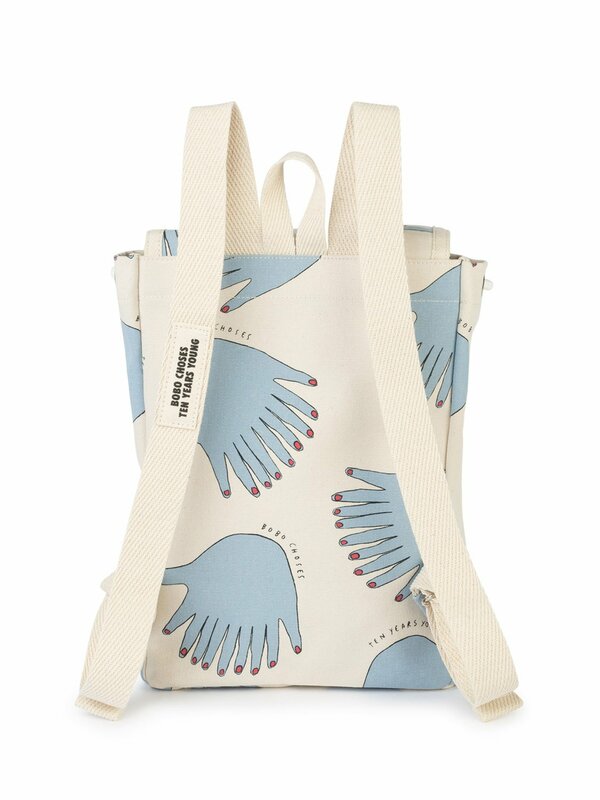 Features our TEN YEARS YOUNG allover print. Cotton canvas is not waterproof. Measures are 30 x 21 x 13 cm (Volume is 3 L). 100% cotton canvas, cow lether. Handcrafted from the finest quality materials in Hungary, Europe. Do not machine wash, bleach, or iron! Hand wash, do not soak! Soacking causes colors to bleed, and damages leather! Brush off dirt and stains gently, with a soft cloth. In needed, use lukewarm water and soap.